We made this recipe that I found online @ Notta Pasta web site. We had company and we wanted to make something gluten-free. It turned out very well and we enjoyed it throroughly. We were testing for future reference. "Seared pork chops are simmered with tarragon and orange juice in this surprisingly quick and easy main dish!" "A unique tomato topping for rice that doesn't use garlic. It has the wonderfully rich flavor of tarragon and is quick and easy to prepare. Goes well with grilled chicken or salmon." "Asparagus broiled with a Dijon/lemon/tarragon dressing. The dressing really brightens the taste. Quick to assemble and make." "Tarragon adds a twist to this great marinade that can also be used with swordfish or shark steaks! Tasted better than a filet mignon!" 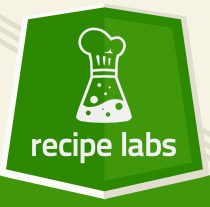 "A lime-tarragon marinade for juicy flavorful chicken pieces - moist and delicious. I like to marinate the pieces and cook them on the grill for a nice summer meal." "This is a creamy casserole with the great taste of tarragon that is very easy to make." "A mixture of celery, onion and green pepper adds spark to this simple green bean side dish. It's pleasantly seasoned with dried tarragon and lemon-pepper, so its flavor complements most main-dish meats." "A mixture of celery, onion and green pepper adds a spark to this simple green bean side dish from Ruby Williams, Bogalusa, Louisiana. It's pleasantly seasoned with dried tarragon and lemon-pepper, so its flavor complements most main-dish meats." This is so easy, and so good. No browning, just put the chicken in and pour the sauce on, and bake!! The tarragon makes it an elegant entree.